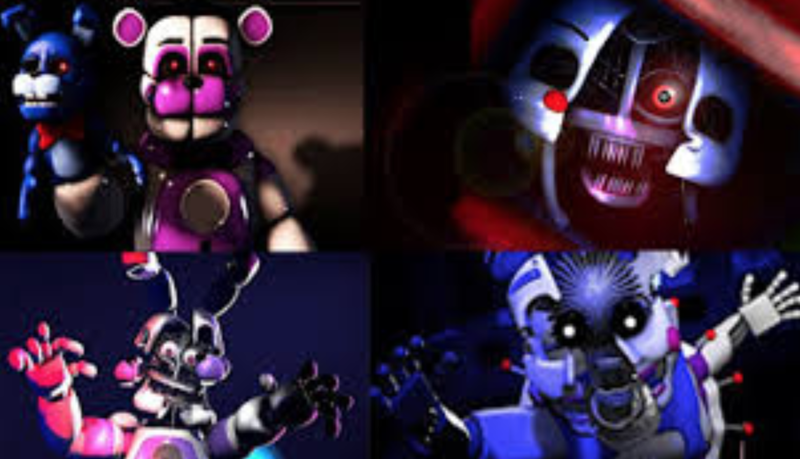 MAY 10, 2018: Sister Location is one of my favorite games in the “Five Nights at Freddy’s” series. It is one of those new video games where you have to survive a horror scene. If you like horror movies, then you’re going to enjoy playing this game a lot. I really like this game because it’s unlike the others, players can actually move around! All of the characters have the ability to move between rooms, each with its own mission to carry out without being killed. Once you begin to play the real game, your character becomes a night guard named “Eggs Benedict.” Now, this isn’t the name you pick, but a small malfunction with the keyboard which makes it impossible to select your own name. Why is that? Every single night the keyboard gets your name wrong! The first time I played, I thought I hit the wrong buttons, but instead, it was really the game. My favorite character in the game is “Fun Time Foxy”, the pirate. I like him because of his colors such as pink and white. So do you think you’ll play? I recommend this game to anyone who likes to have some serious fun and who likes horror. Paris Dozier is a 3rd grade scholar at Friendship Woodridge Academy.